According to Postpartum Progress “postpartum depression is the most common complication of childbirth, putting American families at risk each and every year.” If you stop to think how our society functions daily, this fact does not surprise me. Our society is constantly busy doing tasks, house chores and work. Slowing down and taking time off is unheard of. In different cultures around the world, women are waited on hand and foot, do not leave their beds for 40 days, sip on broths and are delivered warm and nutritious food daily. In these cultures, postpartum depression and illnesses are rarely witnessed. New moms need to slow down and take a breath. 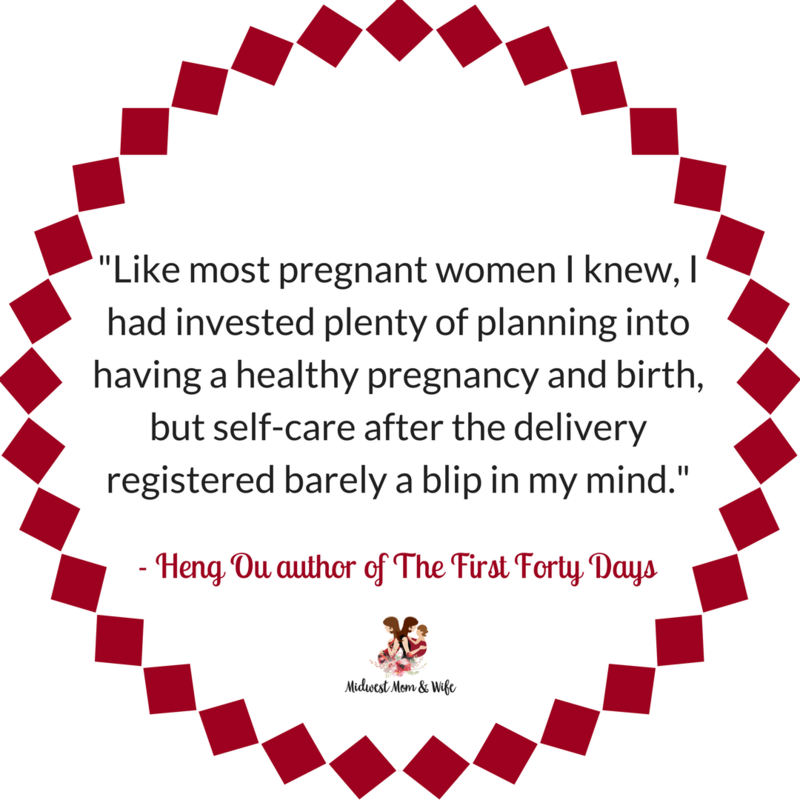 We spend much of the three trimesters of pregnancy planning for birth and the fourth trimester ( the postpartum period) is forgotten. It is important to create a plan for this period of time as well. If planned accordingly and women dedicate their time to healing and rest during their postpartum period, it provides faster healing and reduces the chances of depression. It all can be a bit overwhelming. Just like with creating a birth plan you hire a birth doula. The same thing goes with creating a postpartum plan, hire a postpartum doula. She is able to bring up scenarios and suggestions you may not have thought of. She can help you figure out who will make and deliver you healthy meals and is loaded with resources to point you in the right direction if something comes up. She will also physically be there during your postpartum period. After you give birth the first days and weeks are crucial for you and your baby. Your body needs to recover from doing something incredible and your newborn needs to adapt outside of the womb. A postpartum doula cares for you, educates and helps you around the house while you heal and bond with your baby. She will allow you to sleep, shower, offer you nutritious and healing foods, while answering your questions about your newborn or what may be going on with your body. Just like no birth is the same, no postpartum period is the same. Her ultimate focus is to nurture and care for you, the new mother, while you heal and become more confident in your new motherhood roll to one, two or more children. There is no way to predict what you and your family will need during the postpartum period, so they are flexible and accommodate your needs. Allow your postpartum period to be a time for you to recover and to get to know the little life you just brought into this world. I promise you, if you do a little planning and allow someone to help you, you will be healthy and confident to take on the world in your own time.